1.5 How is agave reproduction? 2.5 How many species of agave are there? – Spanish / Castellano: Maguey, agave, agave azul, azabara, acibara, maguey pinto, maguey pulquero, pita, cabuya, fique, mezcal, yucatan, henequén. Scientific name: Agave sp. The common name in English of Agave americana (Century plant) refers to the durability of this plant, which, although it does not usually live 100 years, it easily reaches 25 or 30. In general, plants of the genus Agave live for long. 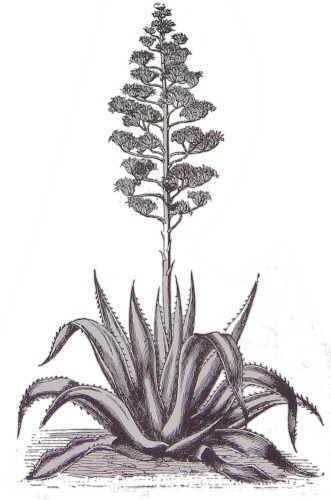 The genus name Agave was given by Linnaeus in 1753. “Agave” is a word that comes from the Greek “agauós” meaning nobleman. Carlos Linnaeus gave him the full name of Agave americana. Family: Asparagaceae. They were before included in agavaceae (and these, in turn, in the lily family – Liliaceae). Habitat: In rocky, arid, rocky ground of dry and hot weather. Plants growing naturally in Mexico, southern United States and the Caribbean islands. 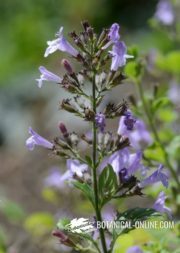 Its use has spread in Mediterranean areas, where they are grown in gardens and parks in rocky and dry areas. Thick, fleshy, usually sword-sized and vertically erect leaves. Most often finished in a strong and very sharp needle, and margins in most cases with teeth or spines. Spiny or toothed formations are an adaptation of these plants against harassment of animals. Agave leaves, called “pencas”, are adapted to drought conditions where they live. They are thick leaves (succulent) because they store a lot of water inside. In times of prolonged drought, they lose some of their thickness and even appear wilted, changing its vertical aspect by a drooping one. To avoid perspiration and the subsequent loss of water, agave leaves are covered with a waxy coating that is what gives them the typical bluish green color. The flowers of these plants are slow to bloom, usually between 5 to 10 years, although some may take up to 40 years. Generally the smaller species usually bloom at 4 or 5 years, while the larger species are wont to do between 10 and 25 years. 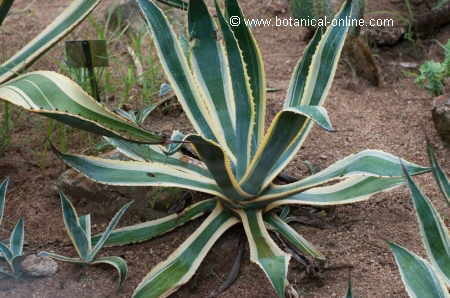 The maguey can reproduce sexually and asexually. It reproduces sexually by seeds and asexually by shoots springing off the main floor or bulbils that grow in the floral stem. Sprouts grow from the underground rhizomes around the main stem. 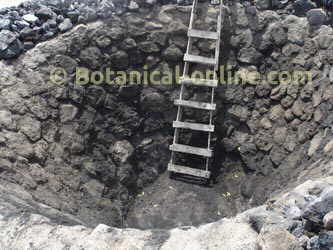 Once outside, they produce roots that are inserted into the ground causing a new plant. Thus groupings of different plants that can cover a large area. The bulblets of the flower stems are separated from them and fall into the ground causing new plants. Sometimes they get stuck in the hair of some animals and are transported away from the main plant. The flowers are pollinated by a wide range of animals, from insects or birds to birds or mammals. Among the main pollinators we have bats, some of them, such as Leptonycteris nivalis, specialize in a particular type of maguey. Specifically, this species pollinates Agave tequilana. Other pollinators are mice, squirrels or other rodents; birds, like hummingbirds and parakeets; insects such as flies, bees, wasps, etc. The flowers produce fruits in capsule. The capsules have elongated oval shapes. Within each capsule, there are the seeds. Each capsule produces many seeds. Some are fertile and have black coloration, while non fertile are white. The dispersion of seeds is performed by the wind or animals. Agaves have a big bud or core that is a kind of bulge in the center of the plant, around which grow the leaves. It is called pine because, once released from the leaves, it reminds the shape of a pineaple. In most species of maguey, it is obtained when the plant reaches seven or eight years. Right now, the plant is harvested, freeing it from the leaves and the side teeth, and final spine is cut. 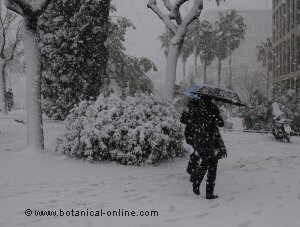 The core of these plants or pines can weigh up to 100 kg. Agave has been traditionally used in Mexico since before the arrival of the Spaniards. It is believed that its consumption dates back to about 7000 BC. When the Spaniards arrived in America, they saw the Aztecs used maguey for many purposes. The most commonly used species was Agave pacifica, with which they made clothing, ropes, baskets, etc. In Spain it was introduced in the sixteenth century when Hernan Cortez brought the plant and the exploitation and utilization techniques. From here, it spreads along the Mediterranean coast. 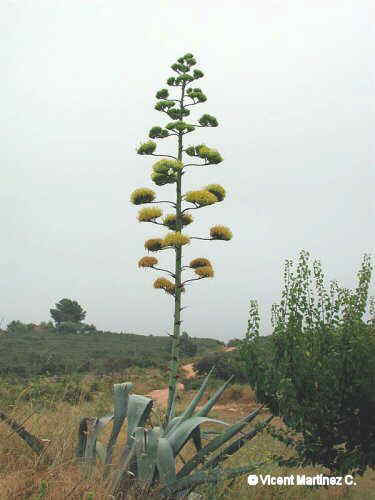 Agave was the basis of survival of a resident in New Mexico Apache tribe whose inhabitants were known as “mezcaleros”. They used the leaves to feed and elaborated with its fibers ropes, baskets, sandals, etc. They lit fires with the dry leaves and sewed their clothes with fibers obtained by crushing the leaves. The tips of agave leaves served as their needles. Driven out of their territories by the United States, currently they are living in Mescalero Apache Indian Reservation in southcentral New Mexico. – Make textile fibers: The leaves were worked to develop fibers with which clothes to wear, blankets, carpets, ropes were fashioned, etc. Blouses worn by indigenous (huipil) were made with the most delicate fibers of this plant. The huipil was a kind of rectangular canvas with a top opening for the head and two for side arms. Today, it is considered the traditional costume of southern Mexico. The final thorns of maguey leaves were used as needles. Currently, some species of agave are cultivated for the production of textile fibers. 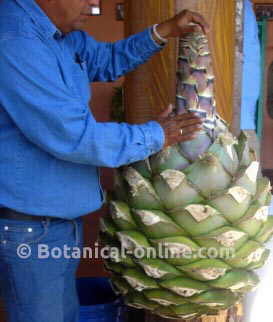 Such is the case of Sisal Sisal Agave or species, of which there are extensive crops in Indonesia and Africa. – Homemade soap or shampoos. – Industry: The chemical industry uses the leaves, roots or seeds for obtaining saponins. With the pulp left over from the production of beverages, cellulose pulp or ethanol is made. The pharmaceutical industry manufactures drugs. – Develop paper: With the fiber of the huge flower stems, Aztecs manufactured similar paper to the Egyptian papyrus. – Separate farms: Plants are planted in rows on the edge of farms to preserve the entry to outsiders. Strong barbed needles and leaves make it almost impossible to pass between the specimens planted as fences. – Food: At the base of the flower stalk all species of agave have very large buds, called pines, some of which in some species can reach half a meter in diameter. These buds are edible and were widely used by the Apaches, as well as by the Aztecs. Normally they baked in ovens or on coals. Often they kept cooked to eat them throughout the year. Today, they continue to sell once they have been baked in stone ovens. Chunks of this type of food are sold in Mexican markets much. The roasting process increases the sweetness of this product, which is chewed as if it were chewing-gum and then, once all the juice has been exhausted, fiber is discarded. – Agave beverages: Distillation of maguey for making alcoholic beverages is due to the contribution of the Spaniards. The Aztecs did not know the alembic, so that, when this plant was brought to Spain in the early sixteenth century, Spanish distillers used their juice to produce alcohol, following the technique already known for the production of spirits from cereals fermentation. Later the alembic and its use was brought to America, where the production of distilled spirits from fermented juice of the maguey, such as tequila or mescal, surpassed in quantity and quality to products that were made in the old continent. It must be stated that the Aztecs already knew what was the maguey fermentation juice. From this sugary liquid, elaborated pulque, a beverage of fermented agave juice with a fairly low alcohol content. – Hair reinforcer: With the liquid from the maceration of the tender leaves hair can be rinsed after using a natural shampoo. In this way we can revitalize our hair, reduce dandruff or seborrhea and maintain stronger hair, preventing its fall. – Fluid retention: The agave diuretic properties are due to its richness in steroidal glycosides, both Hecogenin as saponins. 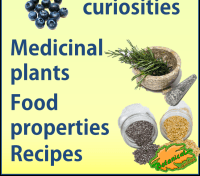 These properties can be exploited to increase the volume of urine expelled. Increase urination is a way to cleanse the body of toxins, avoiding edemas. 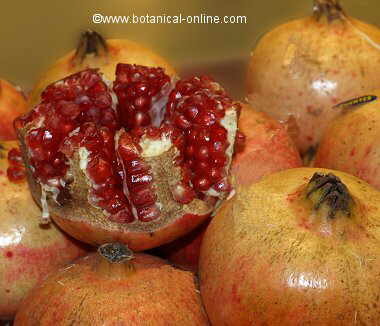 Similarly, the above remedy can help in the treatment of obesity. – Liver: In cases of liver failure or liver inflammation, agave helps deflate this body and work better. 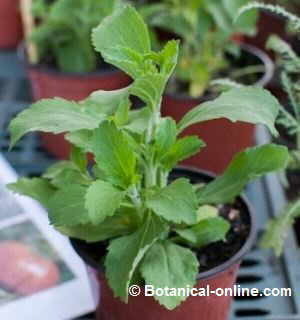 (Two teaspoons of powder of dried leaves a day, dissolved in water or juice. – Purifying: A good way to purify the blood is to make a decoction for 15 minutes and a half teaspoon of dried root per cup of water. Take the resulting liquid at 4 or 5 doses throughout the day. This remedy is very useful if to cleanse the blood after a season of diets rich in meat, seafood, etc. 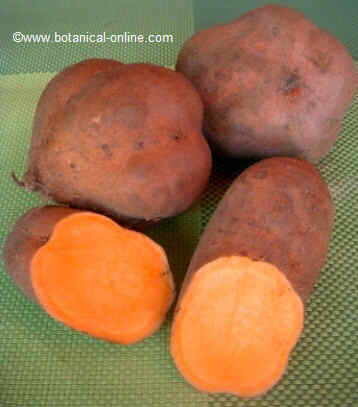 It is an appropriate treatment in case of jaundice and has been traditionally used to fight syphilis. 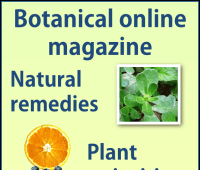 According to some experts, this plant should not be used as a medicinal home remedy, because it is a species whose juice, in external use, is irritating to the skin and in internal use, it produces digestive problems. Do not use for pregnant or lactating women. How many species of agave are there?